The tranquileyesXL is the most effective moist-heat home treatment for Dry Eye, Meibomian Gland Dysfunction, or blepharitis. In this case, XL stands for “extra long” because this system provides up to 20 minutes of optimum temperature and humidity. 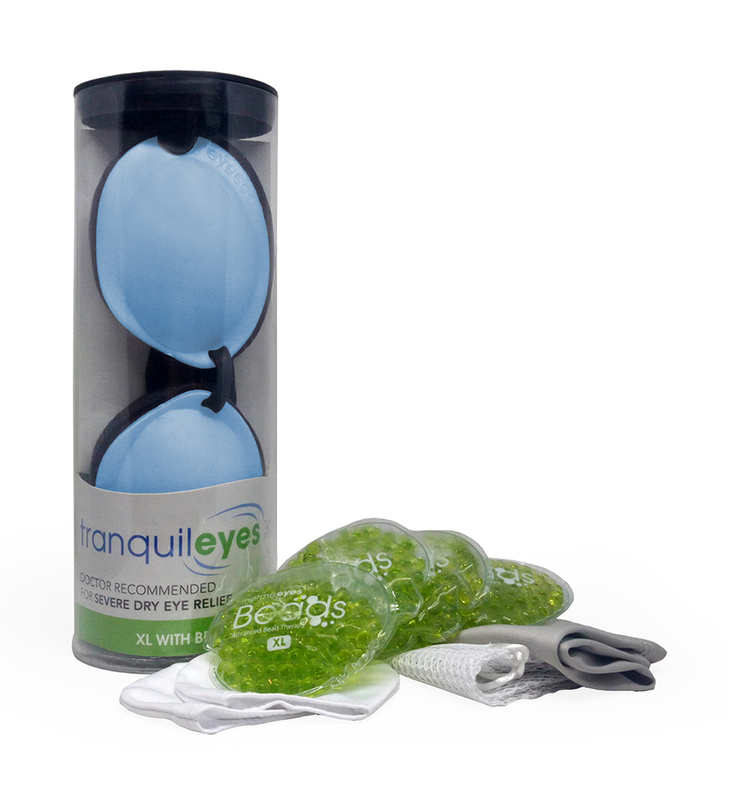 Resting over the orbital bones, the XL moist heat therapy promotes circulation and speeds heat transfer, delivering controlled temperature between 102-110 degrees F. The tranquileyesXL is also used to create cold therapies for managing eyelid and under-eye puffiness, inflammation, and ocular allergies.